Oh, my God, how I officially LOOOOOOOVE this drawing! Colour really brought it to life! Now, this took me a good three days to colour, and I worked on it fruitlessly. Just the same, I look at it now and think it was SO worth it! This is gifty-gift art for *Brinatello , and I certainly hope she likes it now that it's all done. I plan to get this professionally printed at OfficeMax. Yus, I love it that much! Hope y'all enjoy it as much as I clearly enjoyed making it. 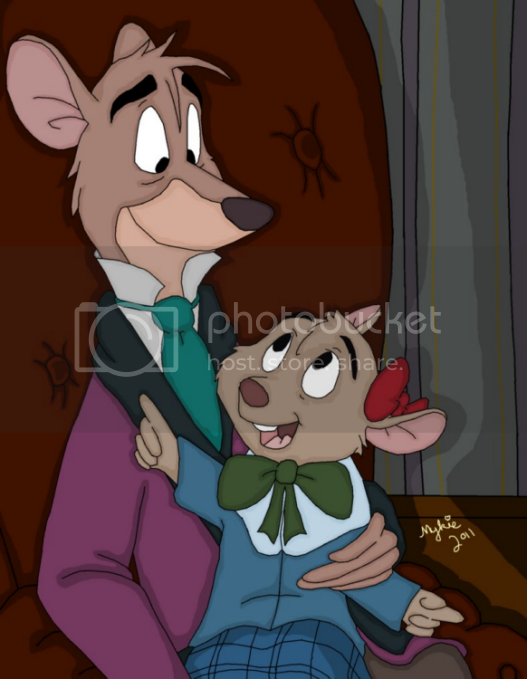 The Great Mouse Detective is (c) of Disney and Eve Titus.